Before we had any food however, we kicked things off like all good things do… with some alcohol. Porto Wine is made only in the Douro region of Portugal due to the rare grape variety that it uses. 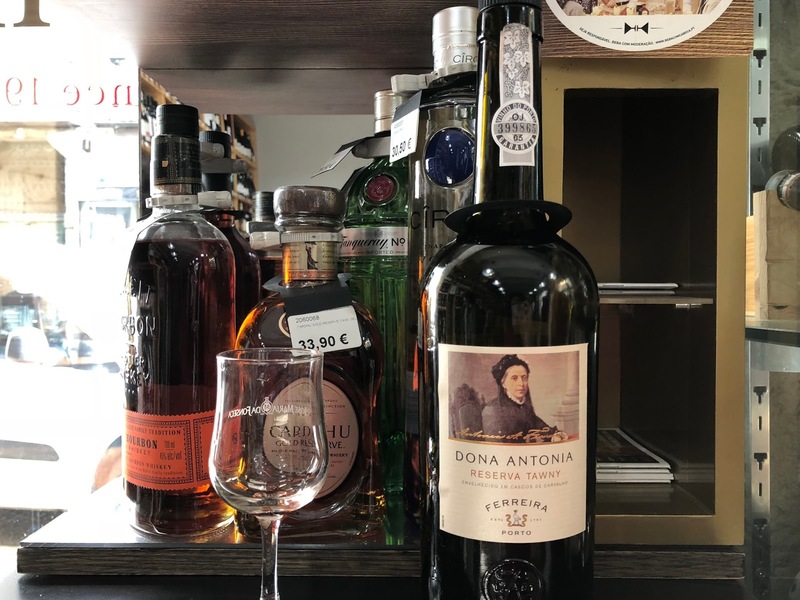 The fruity and sweet wine is a main stay of Portuguese drinking culture, and is consumed at almost any time of day or for any occasion, whether it be before a lunch or before bed. That might make you think it’s not too strong, but you’d be wrong – it varies between 19% and 21%. It took us aback to begin with, but it was so delicious! Next up was something a little bit more rough and ready, or so it first appeared. 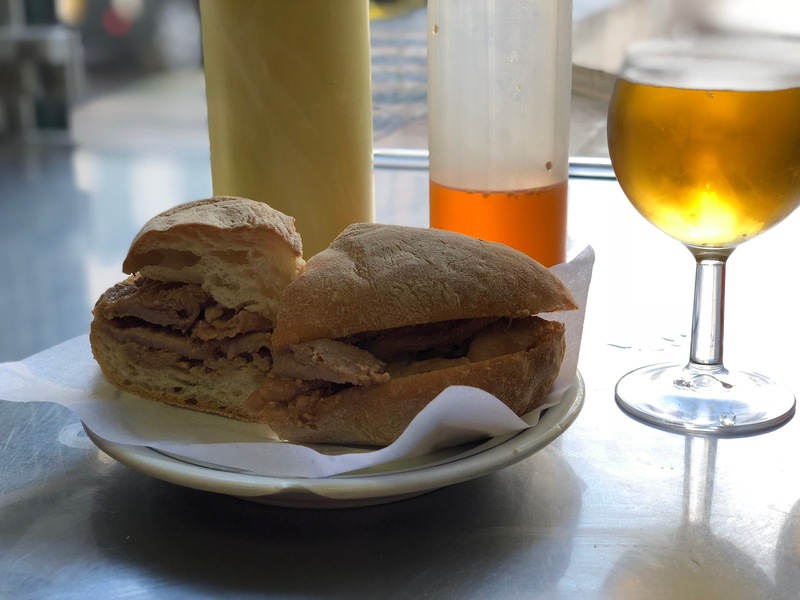 Bifana is pork without any fat or bone, marinated in garlic and white wine and slow cooked overnight, every night before serving it to Lisbon’s construction workers at lunch time. Eaten with a small glass of Sagres beer and with a splashing of mustard or hot sauce, it was the perfect bite to eat to get us going on the tour. Following a walk through a small neighbourhood and up some pretty steep hills, we learnt not only about food but Lisbon as a whole. The facts, history and heritage of the city is fascinating and the beauty of it is there for all to see. We noticed as we went around to numerous cafes and restaurants that they weren’t places with particular outside appeal. We would probably have walked past them all without thinking to go in in all honesty, but the often small and family run restaurants are not there to attract tourists, and the amazing traditional and quality food we had inside these places was thenomeal. That point was perfectly demonstrated at our next stop where we had what the Portuguese would call a “petisco” – a little snack and a glass of wine (or juice and beer in our case). Cod is their national fish and here we had it with olives and garlic. 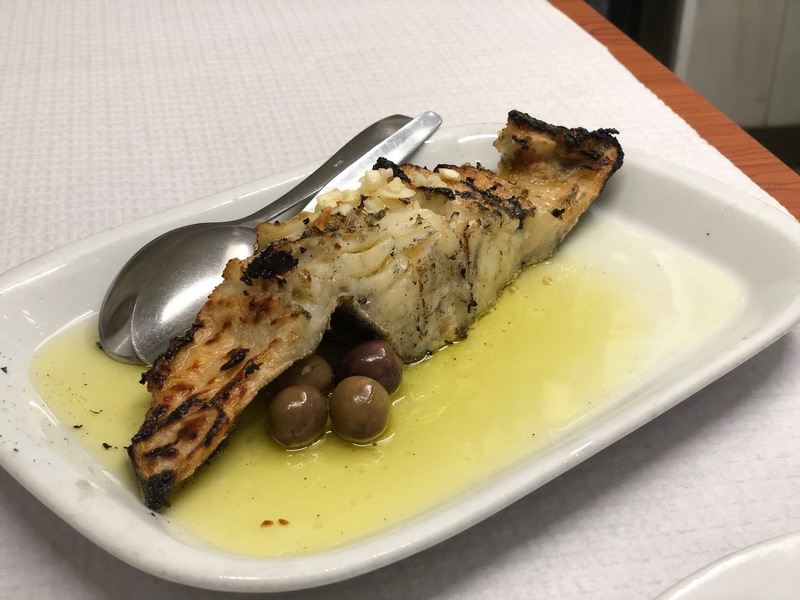 The quality of the fish was proven by the fact that they find it rude to put a knife through it to cut it, but instead use the back of a spoon to allow it to flake. Next, we went shopping! To a charcuterie for black pork ham and various cheeses. We took it off to our next destination to enjoy it with tempura and octopus salad. Interesting fact: tempura was originally Portuguese, not Japanese but was introduced to the country who made it famous in the 16th Century. They’re very proud of that fact in Lisbon! 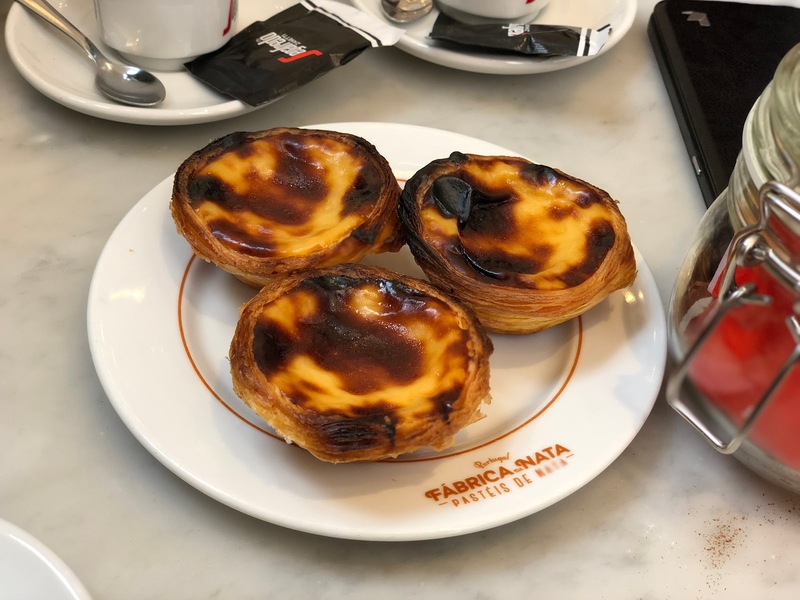 To top things off, we ended the tour how any Portuguese tour would – with their famous Pastel de Nata and an espresso coffee. Despite popular belief, we were taken where the tour guide believes the best tarts are, and with a post coming up about our favourite having tried a good number of them during our time there, you’ll have to wait to find out if we agree! 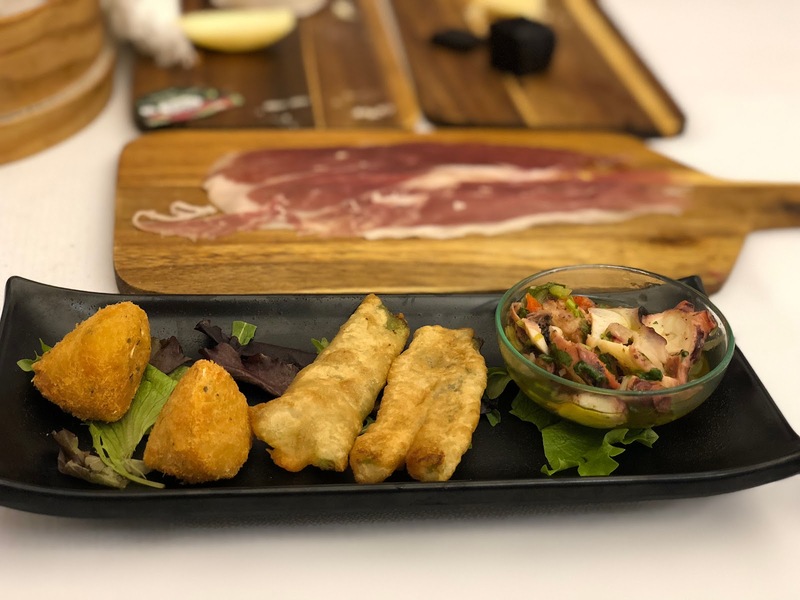 A massive thank you to our guide, Carmen, and Secret Food Tour‘s for having us along for a wonderful experience and afternoon exploring the culinary delights that Lisbon has to offer! Disclaimer: we were given discounted price to the Secret Food Tour in exchange for an honest review. However as always, all pictures and views are our own. Hi, I want to return now it’s been a long time since we visited. We had some marvellous food there. Everyone loved the tarts as I had a cuppa instead. These all look so delicious! I love cheese and wine!! A food tour sounds like the ideal way to explore somewhere new! All sounds so yum! 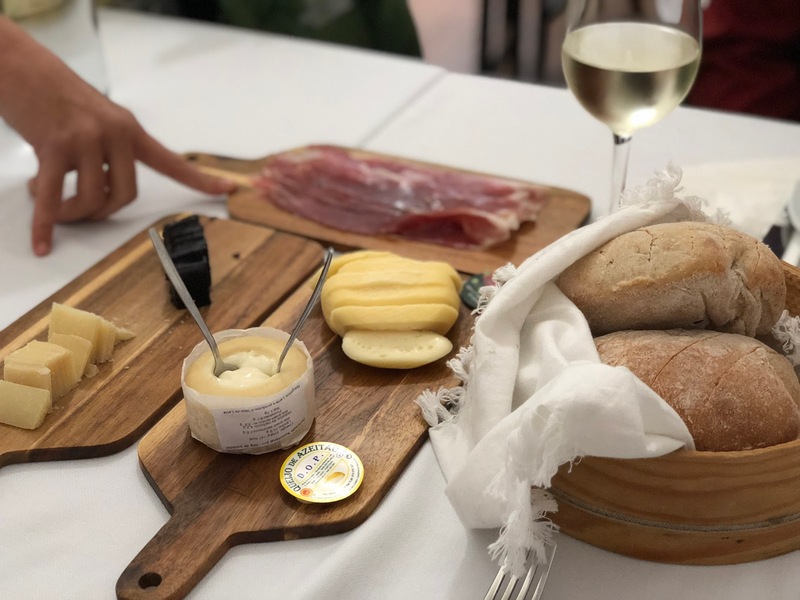 Portugal sounds like a lovely place to have a food tour — looks like you had an amazing time!